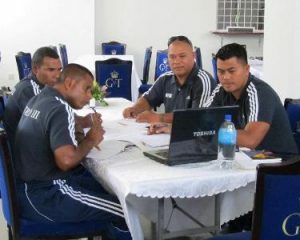 Tonga Football Association’s (TFA) Referees Department headed by Development Officer, Tevita Vea, with the assistance of local instructors, Haina Moli, Koliniasi Vakatapu and Fitness trainer, Sikei Latu have brought together 22 referees from Tongatapu for the training. According to Vea, the objective of workshop is heavily focused on paperwork that is usually done during matches such as match reports and countdown sheets among other issues. “Its important for referees to understand and adapt the system that world of football is operating on, in order to assist them with their performance on the field” Vea said. Another component the training includes the laws of the game. 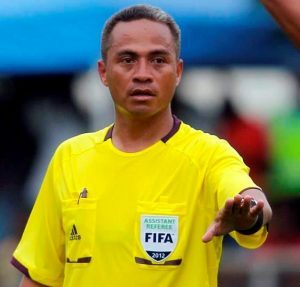 Although Tonga is yet to produce professional football players, Tonga has already got three FIFA referees including Tevita Makasini who has reached the football world’s pinnacle event in South Africa last year and Lata i sia Tuifutuna who just recently returned from the Algarve cup 2011 Championship in Portugal. 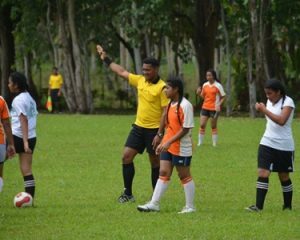 “It is obvious that they are level 1 referees but we have invited them to participate and share their experiences, in order to assist referees in Tonga ” Instructor, Haina Moli said.